Located, in splendid isolation, off the coast of Kerala, the tropical coral islands of Lakshadweep, generously speckled with coconut palms and gorgeous beaches, make for a locale that’s picturesque and tranquil. 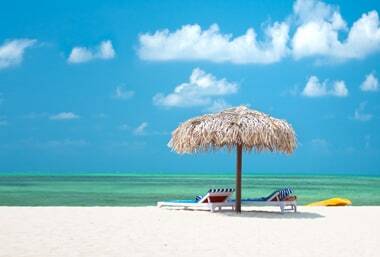 Lakshadweep is a sleepy place where fishing, coconut cultivation and the manufacture of coir are the mainstays of the local economy. Adventure travellers are lured by the presence of many square kilometres of placid, delightfully balmy (and stunning) lagoons – more than 4000sq km of them – and many (and also varied) banks of ring-shaped coral, perfect for many hours of relaxed scuba-diving. The waters range from the palest aquamarine and turquoise to the deepest sapphire-blue. There’s an abundance of coral reefs here (including black coral) which draws a bewildering array of tropical fish (among them groupers and clown fish). You’ll also come across sting rays and manta rays, and barracudas and grey reef sharks too, besides dolphins, octopus, parrotfish and sea turtles. To diminish the negative effects of tourism on the ecology here, only four islands are open to visitors – Bangaram and Kadmat (for non-Indians), Kavaratti and Minicoy (for Indians). Much of Lakshadweep’s residents (around 50,000) are Malayalam-speaking Sunni Muslims, said to be the descendants of 7th-century Hindus from Kerala who had converted to Islam. However, the inhabitants of Minicoy Island speak Dhivehi (the official language of the Maldives). In 1998, most of the corals perished due to the El Nino effect (global warming). Of late, however, the corals have been gradually reviving, thanks to the temperature being around a consistent 28C-30C. Lakshadweep is a chain of 36 predominantly coral islands and islets, only 10 of them inhabited, 300km southeast of the Kerala coast in the Arabian Sea. The main islands are Agatti, Minicoy, Kavaratti and Amini. 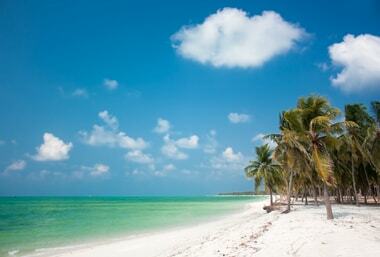 Lakshadweep has a tropical climate, with a summer high of 36C and a winter high of 32C. Winters are the ideal time to visit but the summer months are best for water-based activities. Flights operate between Kochi and Agatti Island (8km to the southwest of Bangaram) daily except Sundays. Agatti is also connected to Goa (thrice weekly). A ferry plies from Kochi to the islands (20hrs, with an onward connection to Bangaram), though the service is discontinued during the monsoon. There are regular ferry/boat services between the islands. A helicopter service also links Agatti to the other islands.